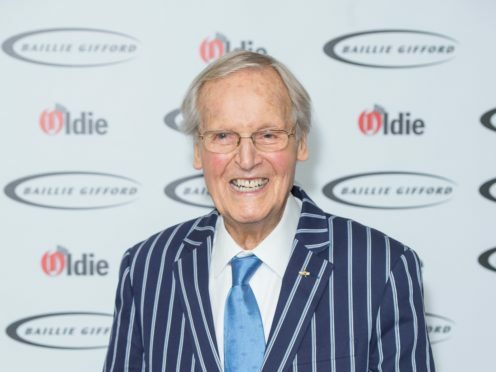 Nicholas Parsons will be honoured for his decades of TV and radio work at this year’s Broadcasting Press Guild (BPG) Awards. The broadcaster, who has entertained audiences for more than 70 years, will receive the Harvey Lee Award for outstanding contribution to broadcasting at a ceremony later this week. Parsons, 95, has chaired BBC Radio 4’s Just A Minute comedy programme since it was first broadcast in 1967, and he hosted ITV’s Sale Of The Century for 12 years in the 1970s and 1980s. The broadcaster began his career on radio in the 1940s as an impersonator on the Carroll Levis Discoveries talent show. He has acted on the West End stage and in films and, in the 1960s, was known as the straight man to comic Arthur Haynes, a partnership that saw them perform at the London Palladium and on America’s The Ed Sullivan Show. Jake Kanter, BPG chairman, said: “Our Harvey Lee Award winner is being recognised for seven decades of TV and radio entertainment, and in particular his contribution to one of the BBC’s longest-running programmes. “Panellists have come and gone, the gamesmanship and gags have evolved, but Nicholas Parsons remains in the hot seat at the centre of it all. Previous recipients of the award – named after media correspondent for the Daily Telegraph Harvey Lee, who was also a “leading light” in the BPG throughout the 1980s – include Sir Lenny Henry, Sir Terry Wogan, John Humphrys and Cilla Black. Nominees for the BPG Awards include Hugh Grant, Ben Whishaw and Benedict Cumberbatch in the best actor category. Hit drama Killing Eve has received six nods in categories including best online first or streaming, best writer for Phoebe Waller-Bridge and best drama series. The 45th annual BPG Awards will be held at Banking Hall in London on March 15.